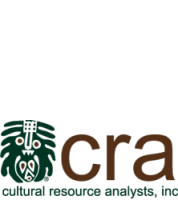 CRA Unearths Indiana's First State Prison | Cultural Resource Analysts, Inc. While working on the Louisville-Southern Indiana Ohio River Bridges (LSIORB) project in Downtown Jeffersonville, Clark County, Indiana, CRA unearthed what is believed to be Indiana’s first state prison. Though the archaeological work is still being conducted for the LSIORB project, the Courier-Journal spoke with CRA and recently published an article about the discovery.